Graduation from an accredited high school or equivalent plus six years of directly related Utility electrical experience, including two years as a journeyman electrician. Licensed for the operation of commercial vehicles in the state of Texas within ninety (90) days of employment. To be considered for employment in this position applicants must comply with Department of Transportation Federal Regulations and the City of Austin Drug Policy. The City of Austin employment application is an official document; incomplete applications will not be considered. Please be sure that your application is a reflection of your entire work history. Describe your specific experience for each position. Include all job duties, responsibilities, and employment dates. Any gaps in employment must have an explanation and dates of unemployment. Resumes will not be accepted. Statements such as “see resume” will not be accepted. You may use “N/A” for fields that are not applicable. Starting salary will be based on overall relevant experience from your employment application. The responses to the supplemental questions should reference the employment history listed in the employment history section. Once the requisition has closed, the application cannot be changed to update work history, supplemental questions, or any other information. Candidates selected for interview(s) may be required to complete an assessment(s) approved by Municipal Civil Service process, Rule 4. This position must travel between various locations to meet with vendors as part of the regular job duties. This position requires a license for the operation of commercial vehicles in the state of Texas within 90 days of employment. Job offer may be contingent on passing a pre-employment drug and alcohol screening test and thereafter, comply with Department of Transportation, Federal Regulations and the Alcohol and Controlled Substance Testing rules as outlined by the City of Austin Drug and Alcohol Policy for Drivers of Commercial Motor Vehicles. The position requires adherence to all DOT regulations and City of Austin Personnel Policies. This position is categorized as Essential Personnel. Essential personnel are required to work during emergencies or bad weather if they are scheduled to work and in some cases when they are not scheduled. 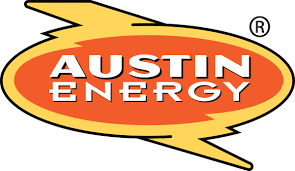 All Essential employees ensure the continuance of key operations in order to maintain the delivery of electric service safely for the City of Austin. Shift may change according to departmental needs. The term “essential functions” means the fundamental job duties of the employment position the individual holds or desires. The following are the physical and cognitive requirements as they relate to this position. This position is considered FLSA Non-Exempt. 5:30 A.M. – 4:00 P.M. The Distribution Electrician Crew Leader will work in the Transmission Construction and Maintenance work group under the Electric Service Delivery (ESD) Division. This position is responsible for leading utility crews and training other distribution electricians working directly in Transmission Construction and Maintenance. Two years of Journeyman level (DE III) experience working on transmission systems within a construction and maintenance work group. Recent experience (within the last two years) working with low and high voltage in transmission (69kV – 345kV). Knowledge of switching procedures for transmission. Knowledge of Minimum Approach Distances, Personal Protective Devices (PPD), and Personal Protective Equipment (PPE) for Transmission Construction and Maintenance. Experience tracking multiple projects, resources, material, and inventory associated with transmission projects. Plan, organize, schedule and lead crews in completion of assigned work orders, including making task assignments, checking materials ready, performing quality inspections, preparing switching requests, preparation of as built markups and other tasks as needed. Communicate with customers to explain purpose of activities that impact services. Monitor task completion for personnel assigned to leader. Train others to apply sound electrical maintenance and construction techniques in High, Medium and Low voltage electrical distribution systems as well as low voltage process and control systems. Interpret, explain and enforce City policies, procedures, electrical codes, specifications and ordinances. Communicate with supervisor regarding work order planning and status or other issues as needed. Monitor compliance and communicate safety issues to personnel assigned to leader. Perform repair, installation, and maintenance as required operating all tools and equipment necessary. Assist Supervisor as required with performance reviews and evaluations of personnel assigned to the leader. Perform emergency electric system restoration as necessary. Complete paperwork associated with leading crews. Assist in Driver's Vehicle Condition reports. Assist in completing Collision, Property, or Incident Investigations. Conduct detailed tailboard meetings with crew as needed to ensure awareness of conditions, hazards, and specifics of work to be performed. Responsible for leading utility crews and training other Utility Electricians (minimum of 3 employees, including the crew leader).